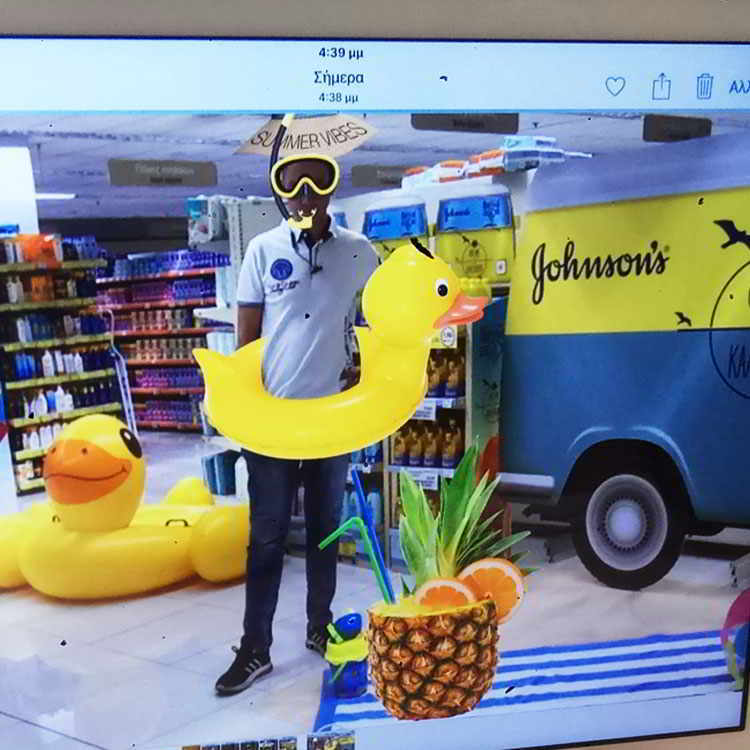 Augmented Reality invades Super Markets! 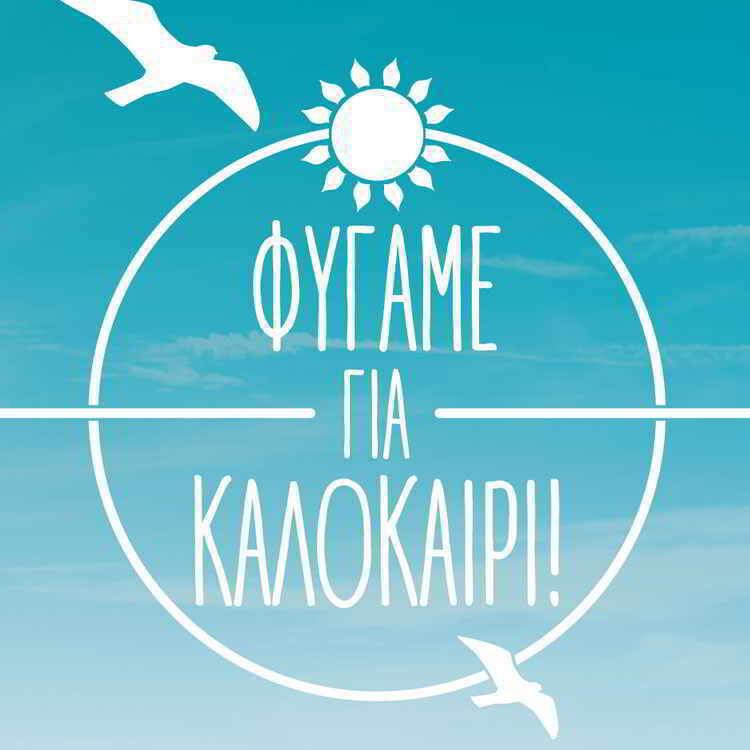 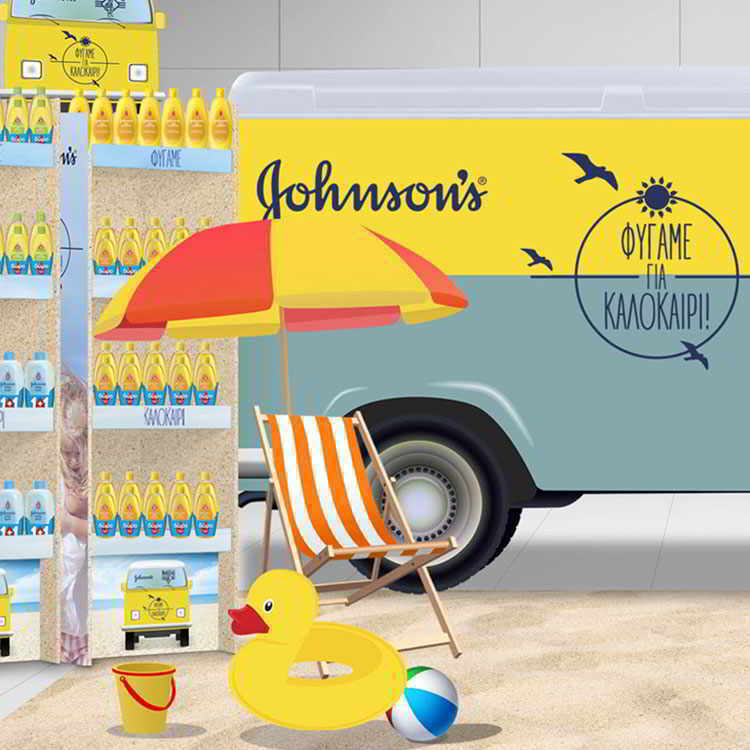 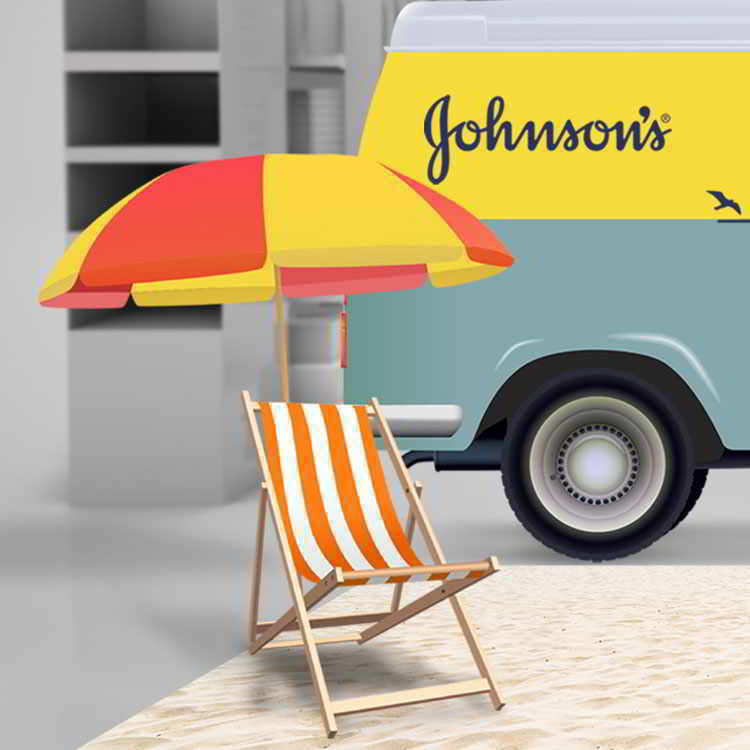 Two of the most iconic brands of Johnson & Johnson, Johnson’s Baby Shampoo and La Petit Marseillais, were paired under an umbrella ‘Summer’ concept in order to drive sales during the summer period. 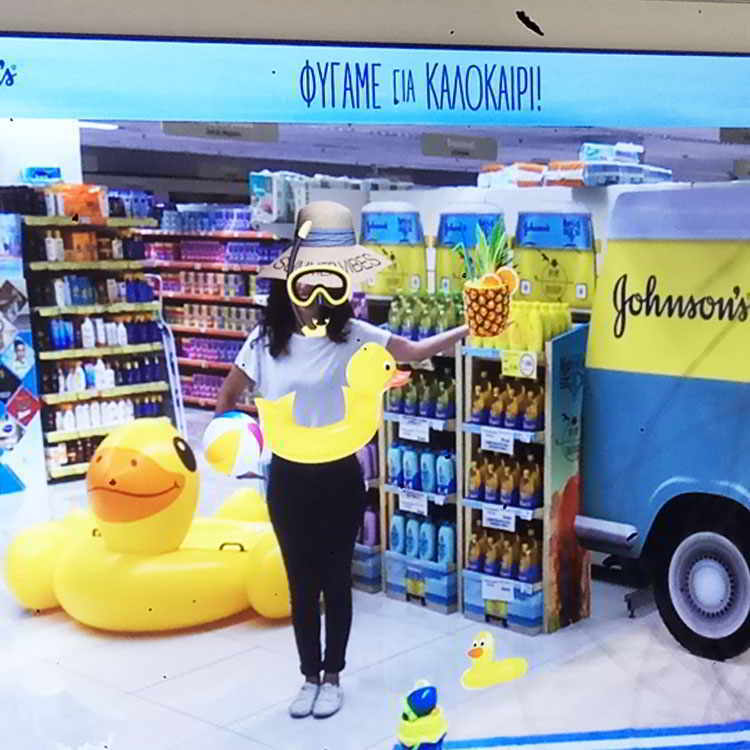 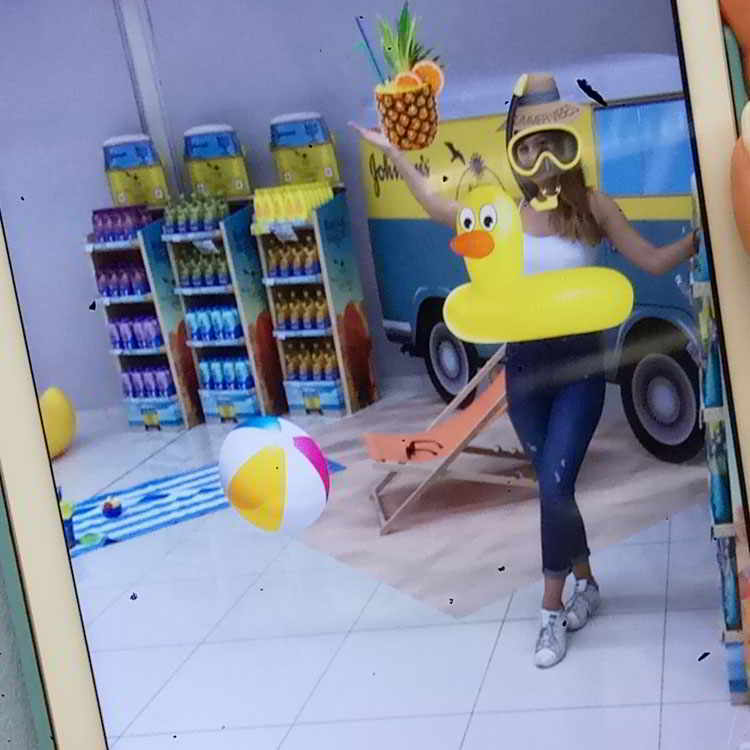 An AR in-store activation was created through an eye-catching concept which creatively deployed in three of the biggest retailers in order to drive product purchase. 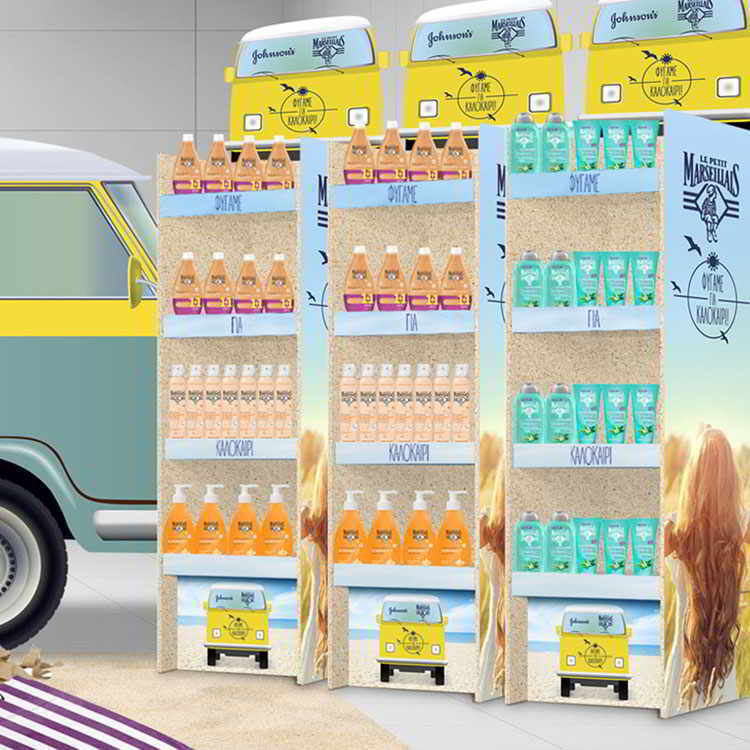 Consumers had the chance to experience summer through an immersive mixed reality activation, fitting in both brand identities and core values. 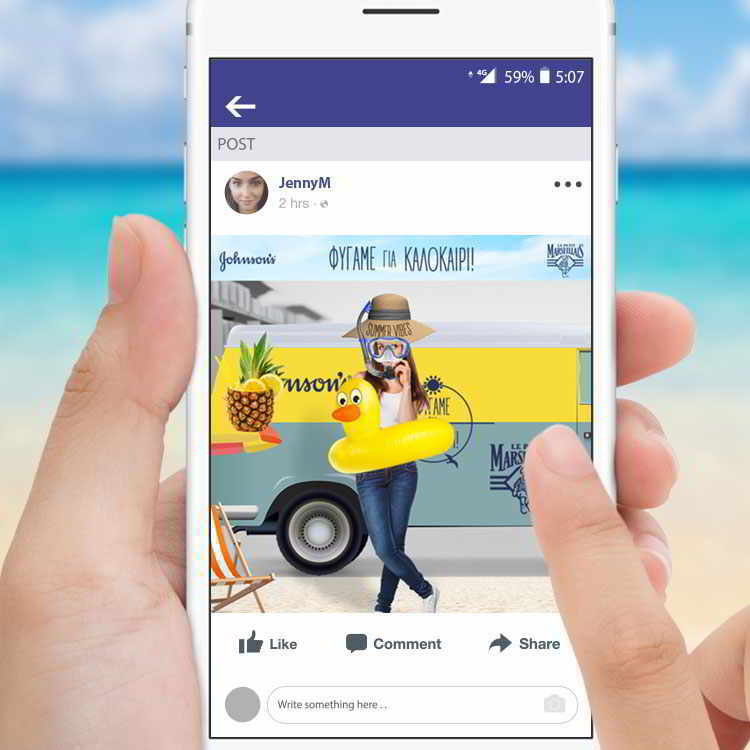 The offline activation gained more than 600k impressions and generated online hundreds social media shares from consumers of different demographics, ages, family status and income.